Since its inception in January 2007, the Integrated Optoelectronics Group has been actively engaged in novel design, fabrication and characterizations of integrated silicon photonic devices and circuits for communications, high performance computations and sensing applications. 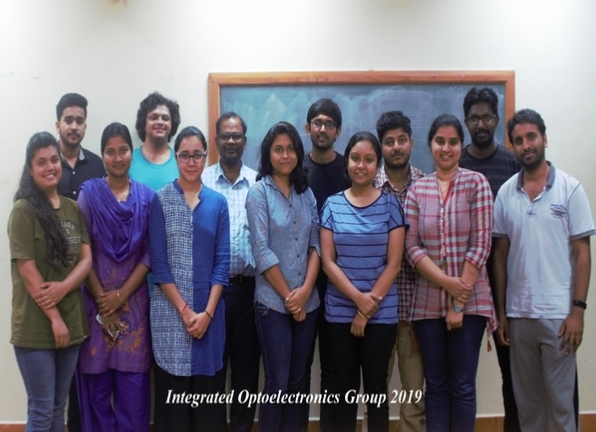 The group is now equipped with micro/nano fabrication facilities (Centre for NEMS and Nanophotonics) and device characterization facilities (Integrated Optoelectronics Lab). OSA Continuum, Vol. 1, Issue 2, pp. 703-714, 2018. IEEE/OSA Journal of Lightwave Technology, Vol. 35, No. 22, pp. 4916-4923, November 15, 2017. Applied Optics, Vol. 56, No. 6, pp. 1708-1716, 2017. CSI Transactions on ICT, Vol. 5, No. 2, pp. 189-193, June 2017. Ramesh K. Gupta and Bijoy K. Das. Applied Optics, Vol. 57, No. 9, pp. 2277-2281, 2018. IEEE Journal of Selected Topics in Quantum Electronics, Vol. 25, Issue 3, MAY/JUNE 2019.